The new Indian restaurant in University Plaza seeks to attract Indian folks and others with its extensive array of colorful housemade Indian sweets. Heart of India, 3500 Main St., Suite 370, opened in the former Dosa Place space last month. 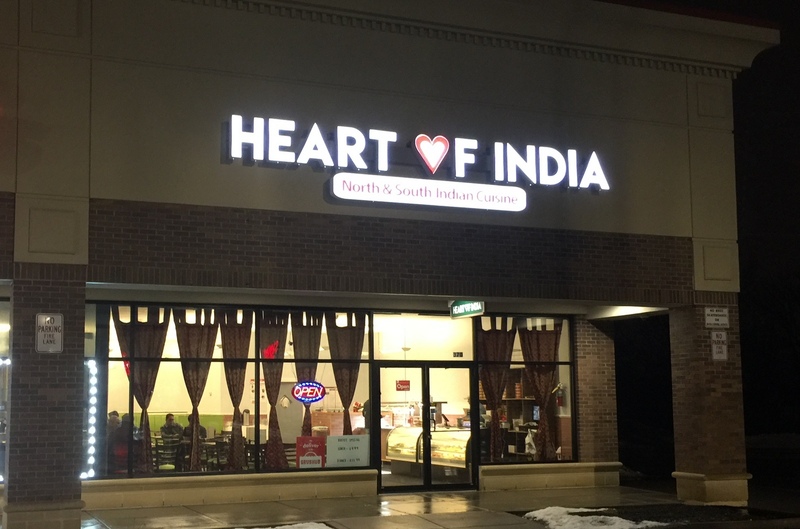 The family that runs it has been involved in two Niagara Falls restaurants, but this is the only one they run by themselves, said owner Minakshi Sharma. The Sharmas wanted to open in Buffalo partly because her brother went to the University at Buffalo, she said. The other reason was because the family noted an absence of Indian sweets. “When we have to do prayers at certain times of the year, there’s no place we can get fresh Indian sweets,” she said. Hindus and Sikhs celebrate Diwali, the Festival of Lights, and Holi, the Festival of Colors, for which sweets are essential, she said. 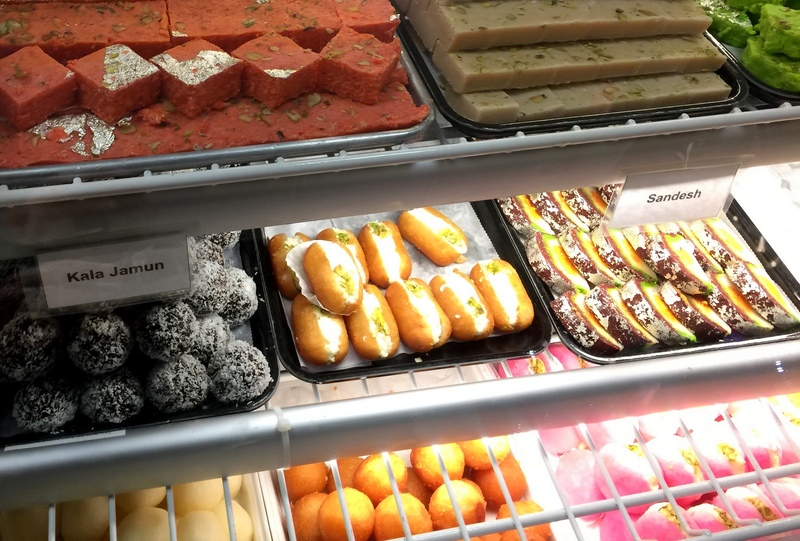 Heart of India currently offers more than 25 types of treats beyond the usual rice pudding and gulab jamun offered by Indian restaurants. 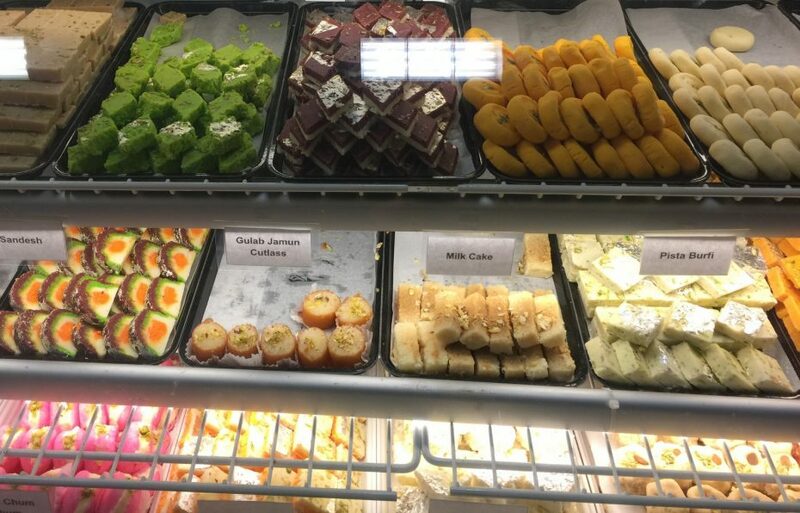 Kalakand, malai chum chum, mango burfi, and sandesh are some of the treats available, made of sugar, milk, and flour, with fruit and spices. Their bright colors, and use of edible silver leaf for decoration, makes the display case a kaleidoscope of sweets. There is a regular Indian restaurant menu, too. Lunch and dinner buffets ($9.99/$11.99), offering vegetable and meat dishes, come with freshly made naan flatbread. 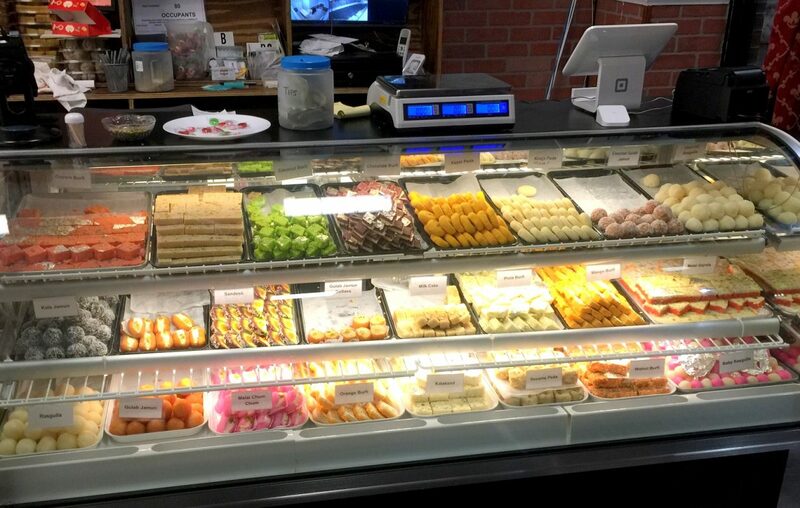 Customers can also order a la carte from a lengthy menu that includes southern specialties like dosas (lentil-four crepes), iddly (steamed rice batter cakes), and uppatham (griddled vegetable pancakes) (Items are $6.99-$9.99). 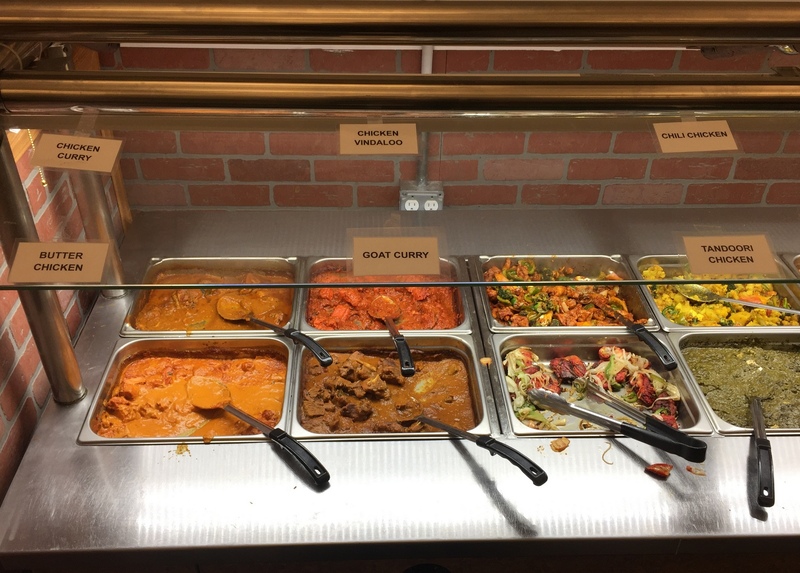 Northern specialties include aloo gobi (potatoes and cauliflower), and palak paneer (spinach with cheese), among a long list of vegetarian, meat and seafood curries ($9.99-$13.99). Biryanis ($11.99-$15.99) and samosa chaat ($5.99) are particularly popular, she said. The dinner buffet is Monday through Thursday, while the lunch buffet is daily. There is no alcohol, but the Sharmas are planning to apply for a beer and wine license. Hours: 11:30 a.m.-10:30 p.m. daily. Phone: 342-2004.